Jeep Wranglers at Rent A Buggy's main location. 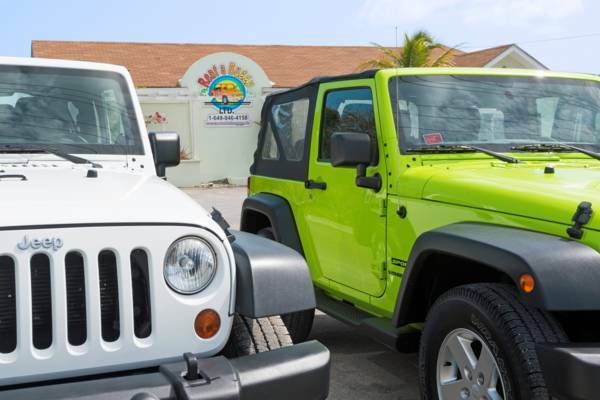 The oldest still-operating car rental business in the country, Rent a Buggy offers compacts, SUVs, a wide selection of Jeeps, and the unique and Jamaican-produced Island Cruiser. The offices of Rent A Buggy on Leeward Highway, Providenciales.